I've been wanting to try the new NARS Dual-Intensity Eyeshadows but I could not be persuaded to buy them due to their high price point - £21 for a single eyeshadow. Too expensive in my opinion. 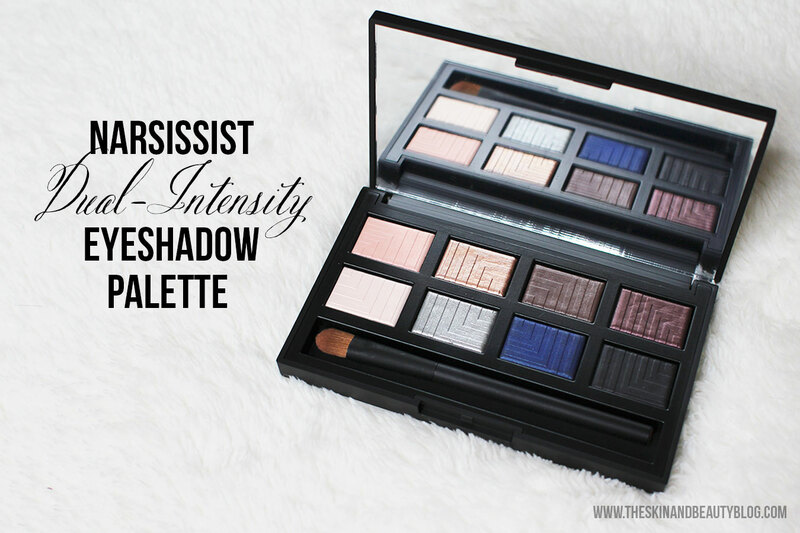 When the NARSissist Dual-Intensity Eyeshadow Palette (£45) was launched I jumped at the chance to try the new finish and here are my thoughts. The NARSissist Dual-Intensity Eyeshadow Palette contains 8 eyeshadows with the dual-intensity formula. 7 are existing permanent shades while Ursa Major is a shade unique to this palette. I think it contains a good mix of eyeshadow shades making it easy to create different looks. The interesting thing about these eyeshadows are that you can apply them dry or wet. I dont know about you but I am always reluctant to wet eyeshadows for fear that this adversely affects their performance and making the pigment more difficult to pick up the next time. 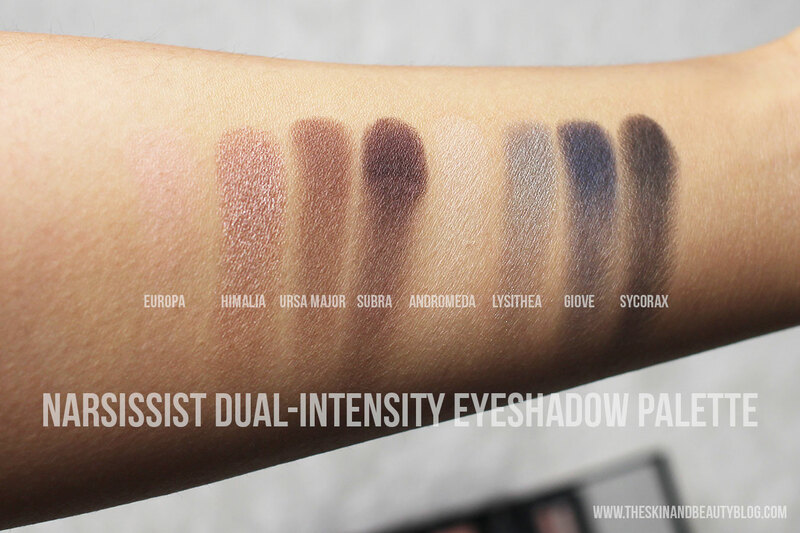 When applied dry, the eyeshadows are like normal eyeshadows. I don't know what I was expecting, perhaps a super new finish... These have variable shimmer levels, some requiring a few strokes for further pigmentation. Applied wet however they become bolder, brighter and shinier. Very impressive. Despite this, I still haven't been converted to wetting eyeshadows as their shape is inevitably distorted in the palette although not affecting their performance. I want to keep my eyeshadows looking pretty. Along with the eyeshadows, the palette has a beautiful mirror and a flat eyeshadow brush that applies both wet and dry eyeshadows really well. My favourite eyeshadows in this palette have to be Europa, Himalia and Subra. 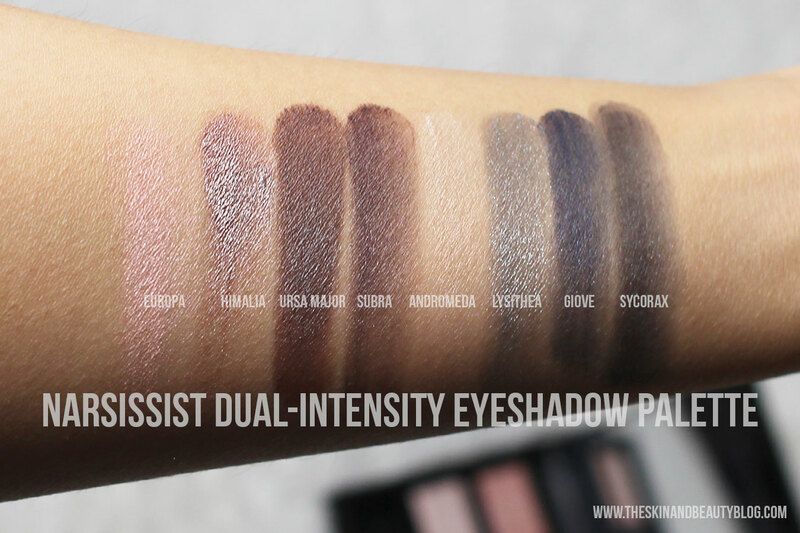 I'm glad I purchased this palette, if you're a NARS fan like me and curious about trying out the new NARS dual-intensity eyeshadow finish, the NARSissist Dual-Intensity Eyeshadow Palette gives you far better bang for your buck! Such a pretty palette, those top row shades look gorgeous! hi Livia! ... i have read your blog from a very long time ago, like 4 years ago now ... lately I got busy and I was looking for your blog again (i used to read it when it was princess livia) and I cant believe how much i have missed! i just read that you are now blogging with your sister and sister in law and I have to tell you that I feel so happy for you and all the progress you have made (since the last time I read it) ... I used to read your blog for the lips swatches but I have to tell you that your blog is super complete and detailed and I am very happy about all the changes you have made! congratulations and greetings from Mexico!! !